There’s an old line that environmentalists are “watermelons”—green on the outside, red on the inside. A lot of environmentalists will take great offense if you say this: No no! We like economic growth and capitalism just fine! We just want it to be “sustainable,” whatever that means. And don’t ask for specificity about what “sustainability” means in detail, unless you have a lot of time and a full bottle of hootch handy. Before long you’ll figure out that “sustainable” is just a code word for green things we like, and that it has no rigor whatsoever aside from old-fashioned factor-efficiency, which economists figured out over a century ago at least. But anyway, environmentalists resist being called socialists. 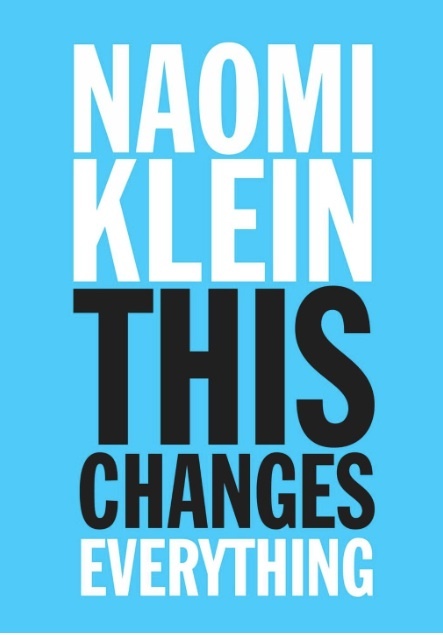 But next week Naomi Klein is coming out with a book called This Changes Everything. In case you’ve forgotten your show notes, Klein is the author of The Shock Doctrine, a book ragingly popular with the far left that is so far gone into absurd conspiracizing and looney renderings of “neoliberalism” that it makes Lyndon LaRouche look positively staid by comparison. What is the “this” that “changes everything” in her title? Why climate change, don’t you know? And what does it “change”? Why capitalism, of course. The argument of the book in one sentence is that only overthrowing capitalism can solve climate change. Don’t take my word for it. Here’s how the progressive lefty site CommonDreams described it today: “Forget everything you think you know about global warming. The really inconvenient truth is that it’s not about carbon—it’s about capitalism.” For this bit of candor about what we’ve long suspected of the climate campaign, we owe Klein and her followers a debt of thanks. I’m going to send her a bouquet of (sustainably-raised) flowers. Climate change is just the ultimate in “late capitalism” I guess but what’s really getting late is the odor of this badly decayed Marxism. (Klein still uses the uproariously hilarious term “late capitalism” without a trace of irony in her pre-publications articles.) Talk about trying to sell something past its “use by” date! Wasn’t World War I the crisis that “changed everything”? Then the Great Depression? Then the Cold War? The panic and crash of 2008? “This changes everything,” as G.K. Chesterton probably said somewhere, is the refrain of the lunatic in the asylum who thinks he’s Napoleon. It’s always something. The book unwittingly reveals that none of this crusading and posturing is about the environment at all. Bill McKibben’s dust jacket blurb gives the game away: “This is the best book about climate change in a very long time—in large part because it’s about much more.” Silly me: I thought it was about greenhouse gas emissions.Thought experiment: if we wave a magic wand, will Klein, McKibben, et al suddenly say, “Oh, I guess capitalism is okay after all”? Anyone want to buy some sustainable swampland in Florida? It will be interesting to see whether “mainstream” environmental groups will distance themselves from Klein’s book. I intend to ask them about her argument at every opportunity. I expect every kind of weasel excuse imaginable. So I guess I better put in for a large order of free-range, gluten-free, sustainably-raised Green Weenies.